Can Roof Replacement Be Tax Deductible? Here Are The Ways! Can Roof replacement be tax deductible? While this topic is a little bit clearer when you are operating a property as a business owner (for example roof replacement capital improvements for commercial and investment properties), it’s still a big question for homeowners who are improving the condition of their home. So can you deduct roof replacement costs on your taxes? Generally speaking, as with any major home improvement (like replacing your HVAC system or making an addition), roof replacement cannot be deducted in the year that you spent the money on the roof. However, if you keep track of the expenses, you generally can reduce your taxes when you sell your house. We are not accountants, so please talk this over with a certified public accountant if you’re looking to use a roof replacement as a deduction. We’re only providing this information as a general guideline based on our experience as roofers. You will also have to ask about any significant changes from the 2018 overhaul of the tax system. We have another article about capital improvements you can read in further detail to determine this, but the brief version is this: the cost of improvements are generally items you can subtract from the sale value of your home (to reduce taxes), but repairs are not. Improvements are items that improve or better the quality of your home. Repairs maintain the existing value of the house. 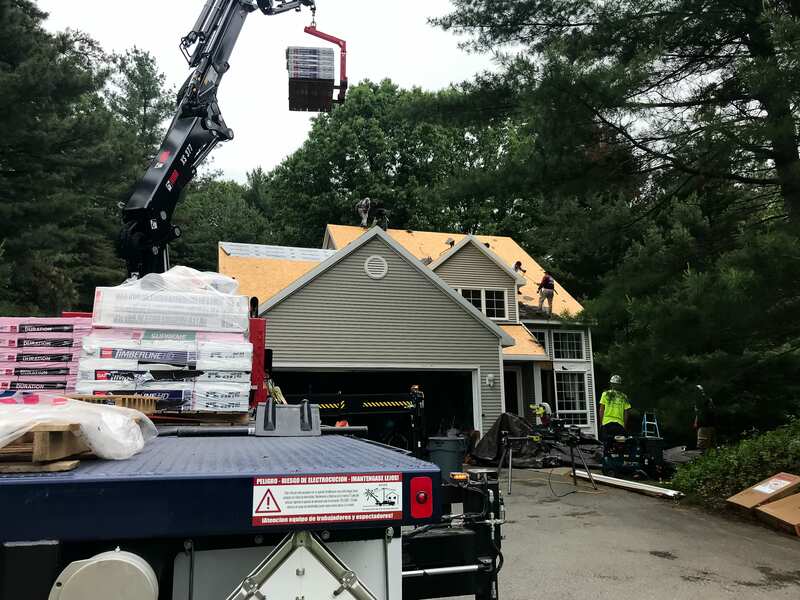 Sometimes the difference between the two can be tricky and we encourage you to give our other article: “Is Roof Replacement a Capital Improvement?” a read. Generally improvements qualify as things like: putting an addition on your home, adding new seamless gutters, or adding in storm windows. However actions like painting a room, fixing the gutters or repairing a small section of the roof qualify as repairs and are not deductible. How does roof replacement work to reduce my taxes when selling my home? As of this writing, the first $250,000 of profit on a sale of your primary residence is tax free for individuals (and $500,000 for married filing jointly) so long as you’ve lived in the house for at least two to five years (in other words, it’s not a fix and flip). Because losses you take on the sale of personal residences are not tax deductible, you’re going to want to make sure you keep a good record of all of the improvements that have been made to the property while you’ve owned it to avoid any unnecessary extra taxation because of an inflated home value or other circumstance. What if I operate a business out of my home? In cases where you operate a home office, or operate a business out of your home legitimately, then parts of your expense can be written off as part of the business expense. For example, if the whole house is being re roofed, then the portion covering the home office can be tax deductible in that year. Additionally, if you rent out part of your home to a tenant, then the part where the expense occurred could also be tax deductible.